This summer has seen the completion of our refurbishment and extension to a listed terraced house built in the early 20th century by the Duchy of Cornwall with the aim of improving living standards and providing a model for low cost workers' housing in London. 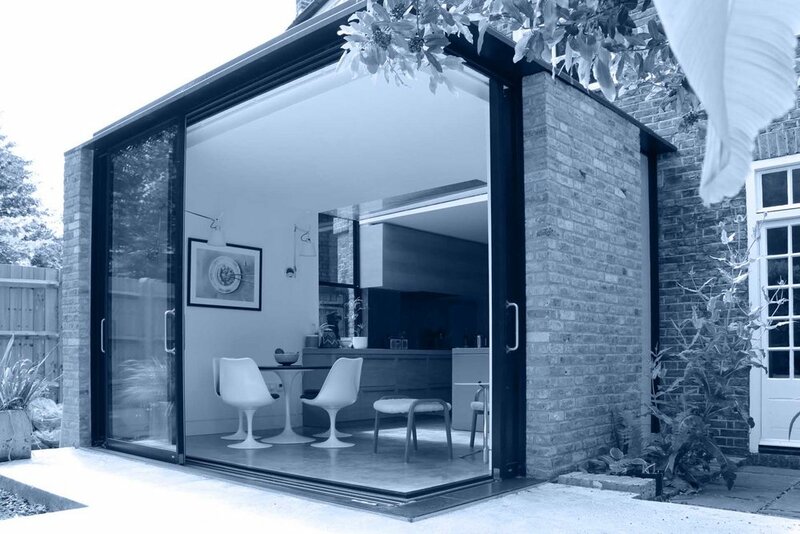 The remodelling works have resolved a previously complex and clumsy, faceted ground floor plan into an open and flowing sequence of spaces, filled with light and with a strong relationship to the garden. 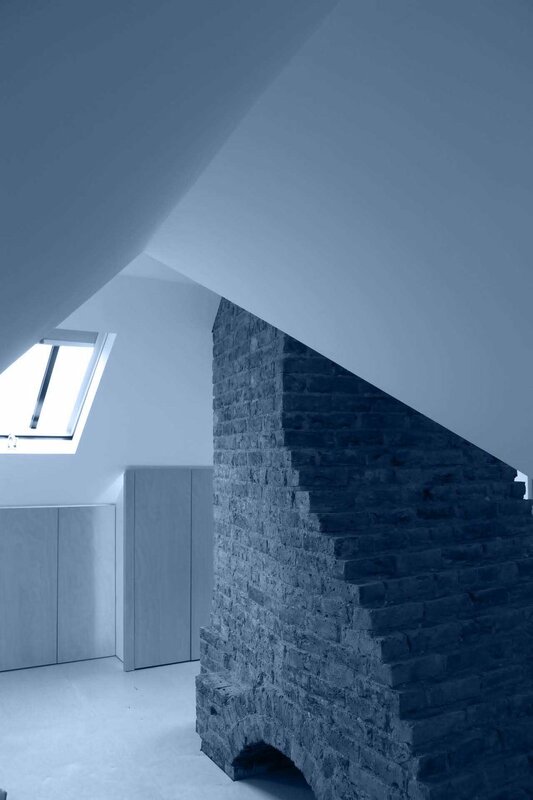 The previously unused roof space has been brought to life, creating a flexible studio space/guest bedroom organised around the cleaned-up central brick chimney stack.